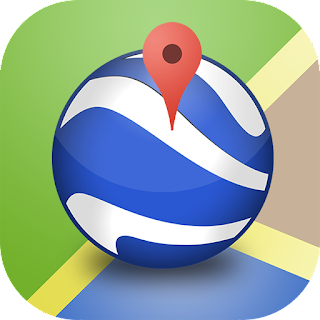 Google Earth is a free program from Google that allows you to “fly” over a virtual globe and view the Earth through high-resolution graphics and satellite images. It is greatly superior to static maps and satellite images. Google Earth is vastly superior to static maps and images for many types of use. The images are detailed enough that in most populated areas you can clearly see your house, objects in your yard, and sometimes recognize your car parked along the street. A digital elevation model within Google Earth allows you to view the landscape of many geographic areas in 3D. Most of the images in Google Earth were acquired within the past three years, and Google is continuously updating the image set for different parts of the Earth. Large cities generally have more recent and higher resolution images than sparsely inhabited areas. A misconception exists among some people that the images displayed in the Google Earth program are live-updated directly from satellites. This is not the case. The images are acquired by satellites, processed by commercial image providers or government agencies, and then updated to the Google Earth image database in batches. However, Google and its image providers do have the ability to rapidly integrate new images into the program. This is sometimes done in emergency situations – such as when an area has been hit by a natural disaster and new images would be of valuable assistance to the recovery and relief efforts.